Did negligent security contribute to this unconscionable nightclub assault? Read Our Legal Take to find out if the victims may have a legal avenue for justice and a claim for compensation. Several people were reportedly injured when gunfire reportedly erupted inside The Hall nightclub in Palmetto early Saturday, July 2, 2016. 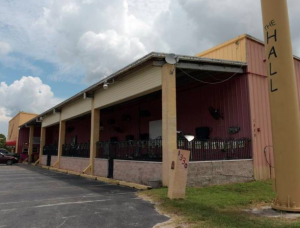 “Shots were fired inside The Hall nightclub, 1330 U.S. 301 N., Palmetto as the club was about to let out for the night,” police told the Bradenton Herald. “One man shot in the chest was taken to Blake Medical Center and is expected to survive, police said. Another man shot in the leg and taken to Manatee Memorial Hospital is also expected to recover.” Several others were apparently injured while trying to escape the violent scene. Police have apparently not yet identified a motive or suspect. How did a gun get inside the nightclub? What security measures, such as weapons screenings, security patrols, and surveillance cameras, were in place to protect patrons at the time of the shooting?